Superb evening light at Ribblehead Viaduct on 20 July 1996, as 37087 & 37095 head north with the 6M90 16:48 Gascoigne Wood to Carlisle British Fuels containerised coal. 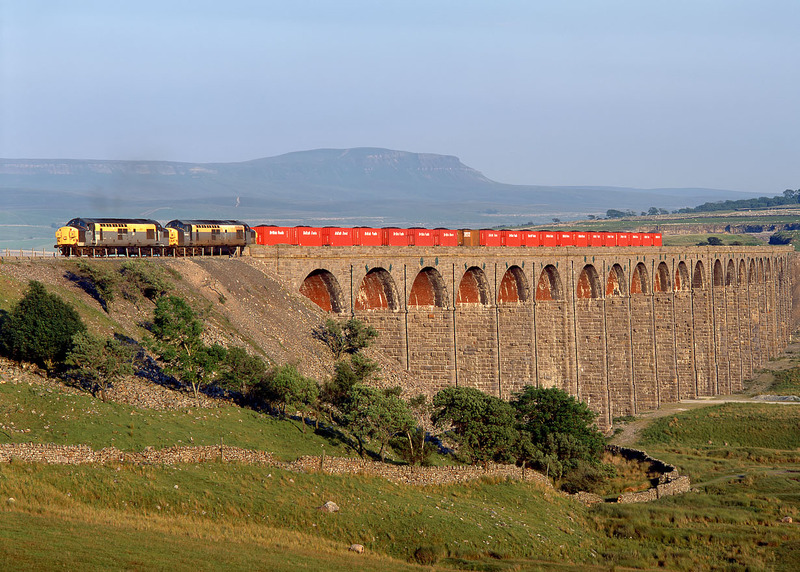 For a time in the late 1990s this was the top freight working over the Settle & Carlisle line. The combination of bright red boxes and classic traction (either pairs of 37s or a 56) was hard to beat. On this occasion my usual bad luck with the S&C weather was replaced by probably the best lighting conditions I have ever seen on the line.